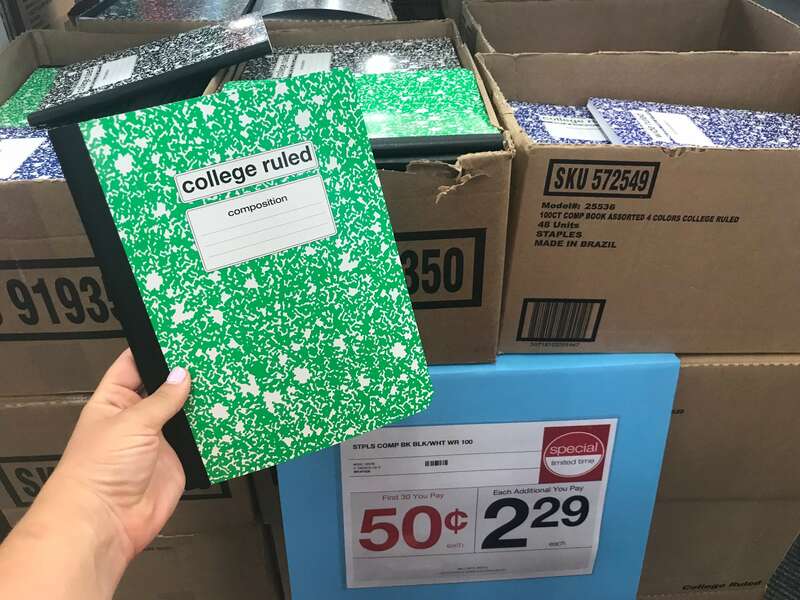 Top Staples Back To School Deals – FREE Bic Xtra-Fun Pencils 8-Pack, $0.50 Essentials + Much More! 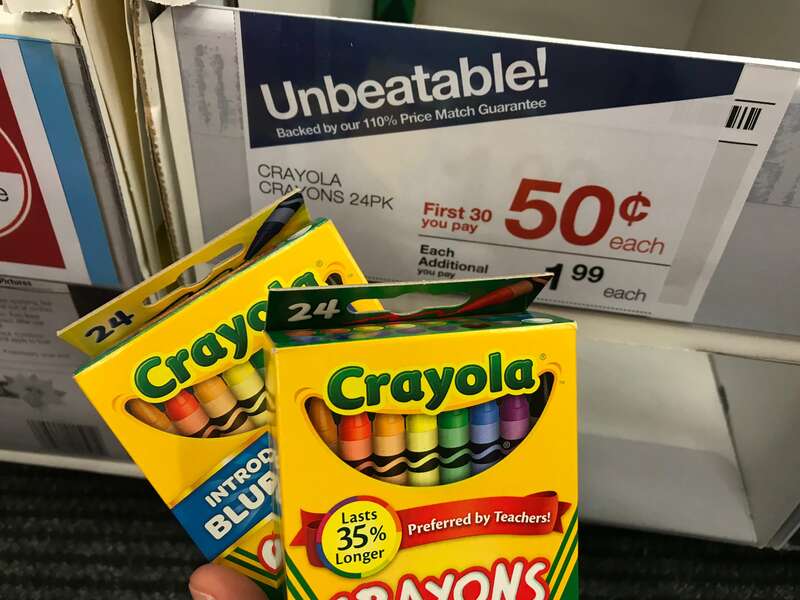 I’m so happy to see the $0.50 deals back at Staples this week! 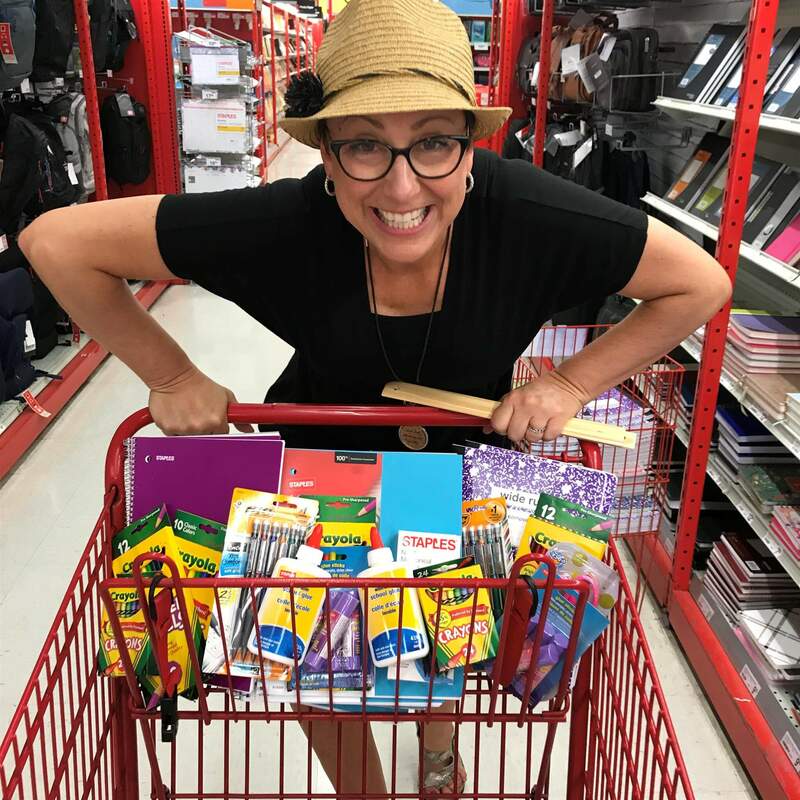 Score so many of your child’s back to school essentials such as Staples brand rulers, glue, composition books and Crayola crayons. That’s just two quarters guys! 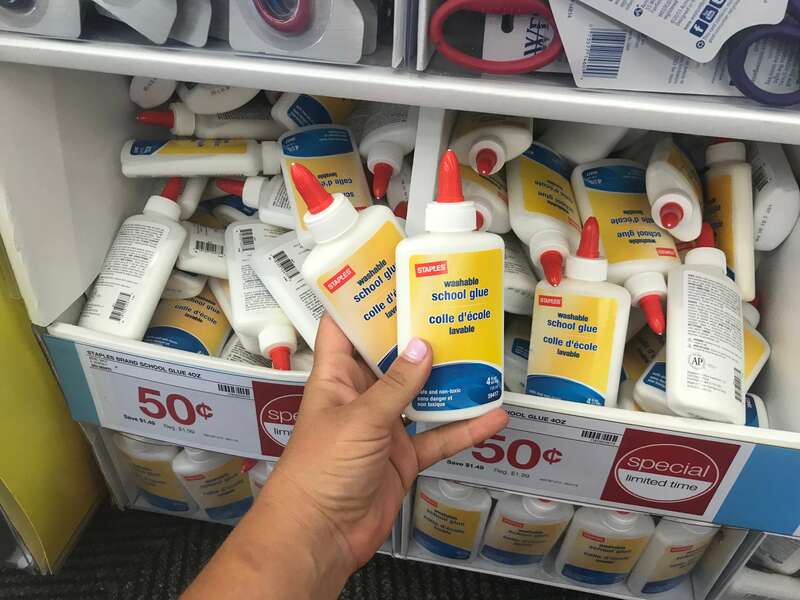 I am totally stocking up for the whole school year, even though these products are in stock at Staples all season long. I can always count on the best assortment of products to meet the needs of my whole family. 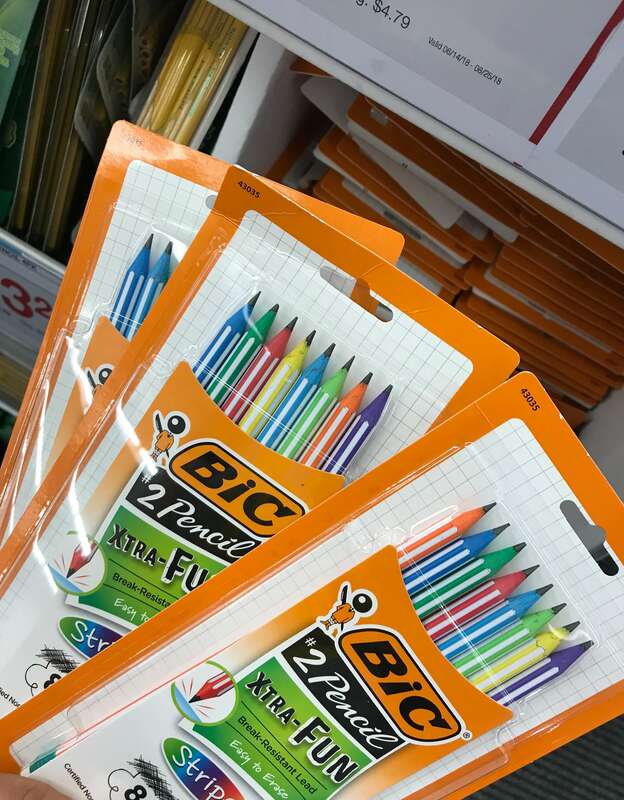 One of my favorite deals this week is on Bic Xtra-Fun #2 Pencils are on sale for $0.75 (regularly $4.29). This is a fantastic sale price, but score an even better deal with this $1/1 BIC Xtra-fun pencil product coupon we have from the 8/5 Smart Source insert making these FREE after the coupon. That’s 8 FREE super cool pencils. My kids are going to love these. And I love FREE! Now is the time to stock up on notebooks too! 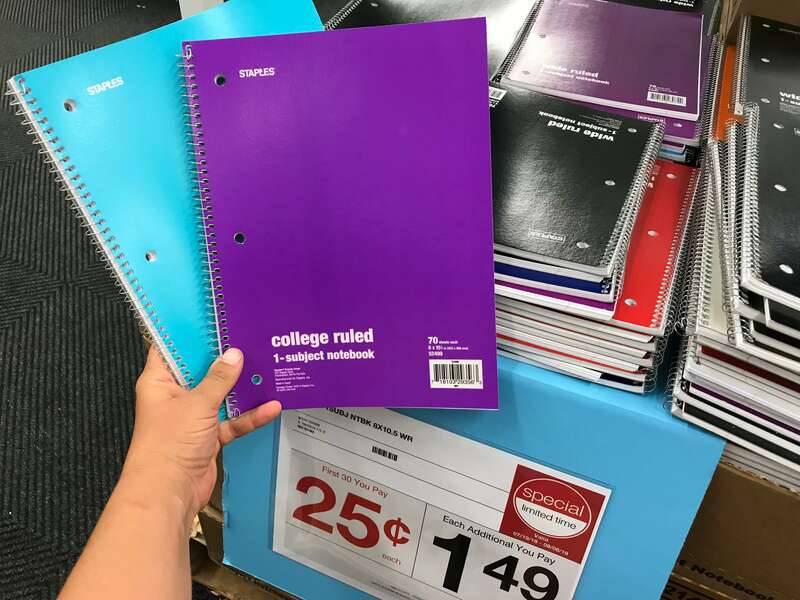 We always love seeing these sales for $0.25 college ruled 1-subject notebooks. You can score the $0.25 price on your first 30 so pick them up for all your kids and for the entire school year! 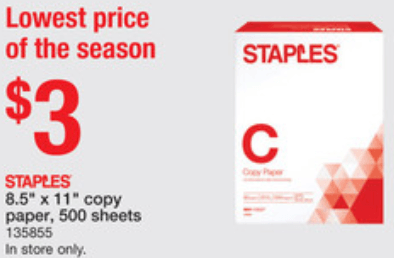 The Staples Copy Paper, 500 Sheets is on sale for $3.00 in-store this week, regularly $7.29. That’s the lowest price of the season! You can’t beat that price. BUT, if you think you might be able to find a better deal, you can shop with confidence because Staples offers a 110% price match guarantee, matching any competitor’s pricing, and offering an additional 10% discount of the difference between the Staples price and competitor’s price at the time of purchase. How cool is that?! You guys! 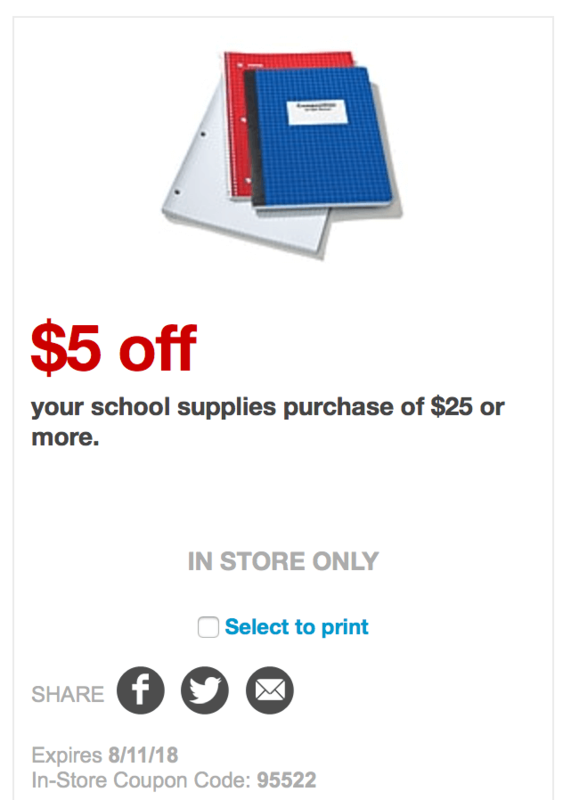 If these deals weren’t great enough, we have an awesome new $5/$25 school supplies Staples coupon available this week to pair with these offers for big savings! Head on over here to see all of this week’s current Staples coupons for even more savings. Check out all the best Staples deals for this week below and let us know what you score! BIC #2 Pencils, 8 pk – $0.75 Free! Renuzit Adjustables Air Fresheners Just $0.66 at Rite Aid!